Cross-Sectional Area: 7.1 sq. in. * Please Note: Masonry flues require a WindBeater Masonry Adaptor. *Also Note: HomeSaver can only be sold and shipped to general contractors or licensed chimney sweeps. Orders to the general public cannot be fulfilled. If you have a contractor please provide his name and address. This will need to be shipped directly to the contractor. The manufacturer will not make exceptions. 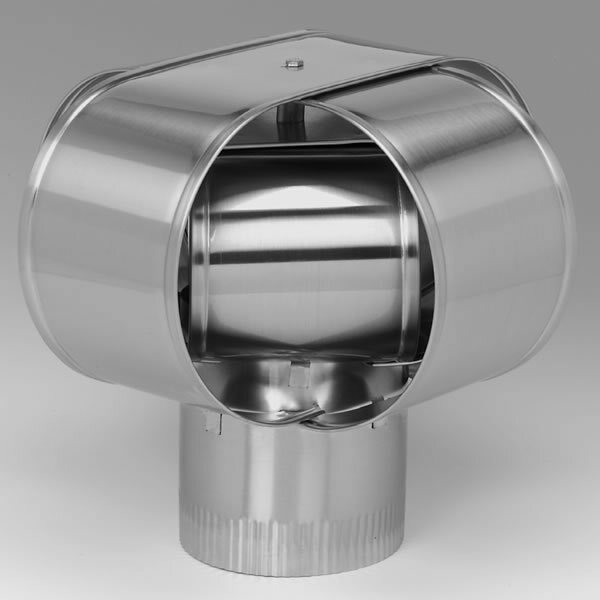 Providing a solution that helps stop downdrafts can be a difficult task, but with this chimney cap from HomeSaver, you can get an inexpensive answer to your draft problems caused by wind. Each cap is 3 inches, and fits inside the chimney flue, and the durable steel construction makes this a long lasting and sturdy addition to any chimney flue. With this inexpensive accessory, you can quickly make your fireplace more efficient and reduce flareups that result from poor air circulation. This would indeed work with a corn stove. Will this cap assist with a back draft problem? This cap is indeed proven to eliminate most back drafting issues. Per the manufacturer, the cap can usually avert most wind gusts up to 45 MPH. Stronger gusts can still cause the occasional back draft, although the intensity will be lessened. Helped stove draft and works well with high wind conditions. Looks good. Putting the cap in place this week. Hope it works as good as reported by others. This thing did a good job at stopping the down flow on windy days.